Carol D’Agnese’s eldest son was diagnosed with multiple food allergies when he was just 11 months old. At the time, food allergy was not on her radar, but it quickly became her focus as she researched everything she could find about the condition. Four years later, she had so much information gathered that she thought it would be a shame not to share it. So in 2006, using her extensive business experience in social media, digital marketing, public relations, strategic brand positioning, and product marketing, she founded the San Diego Food Allergy Support Group. This all-volunteer group offers meetings, educational seminars, and a Web site with links to the latest news and information about food allergy for adults and parents of food-allergic children. An enthusiastic marketer with extensive experience in social media, digital marketing, public relations, strategic brand positioning, product marketing, digital media communications, driving brand loyalty and increasing shareholder value. 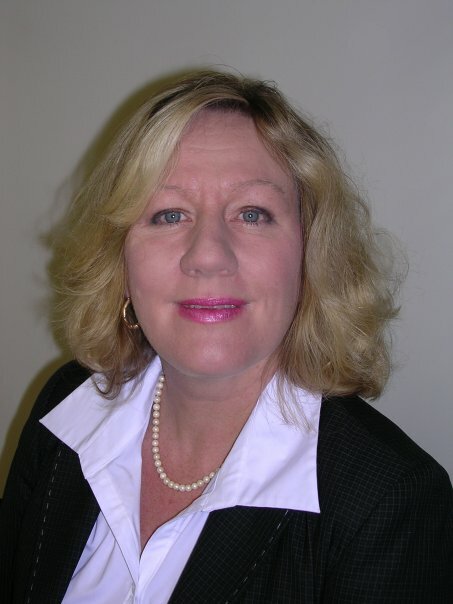 Carol has worked with rapid-growth businesses, public, pre-IPO, non-profit, privately held firms, and international partnerships in several industries including customer goods, medical devices, catalog/online retail, Internet software, food allergy management and advocacy, and real estate. Born and raised in Texas, Jeffrey has had food allergies since he was an infant, which in that day and age was a difficult diagnosis. Jeffrey is allergic to several food items including wheat, dairy, alcoholic beverages, and chocolate. Jeffrey has enjoyed working with Food Allergy and Anaphylaxis Network (FAAN) on several initiatives prior to joining FAACT’s Board of Directors. Jeffrey's son, Kenton, also has food allergies. Duty has been a business consulting executive for 24 years. He has consulted in many industries. Duty has also worked with all sizes of companies. He has worked in one-person start-ups to Fortune 100 companies. Duty has been accountable for understanding his clients’ business initiatives and challenges and strategically building the appropriate team to deliver the work products to achieve those initiatives and challenges. He has been responsible for also aligning the technological development and incorporating the business strategy enabling his clients to shape their company and be a leader in their industry. Duty has previously worked as a Business Executive Consultant at IBM, responsible for development and execution of multiple consulting organizations. He has also previously worked as a Business and Information Technology Consultant at Dun & Bradstreet Corporation. He holds a bachelor of business administration degree from University of North Texas. Duty is committed to educating and raising awareness for food allergies and anaphylaxis, and is looking forward to furthering FAACT's mission. 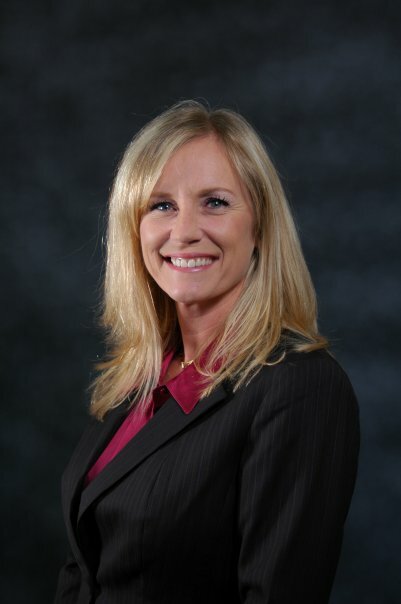 Chris Fanning is Vice President of Finance with the Jane Goodall Institute (JGI), a 501(c)3 organization with international operations, where she is responsible for all finance, accounting, audit, and information technology functions. Chris brings to the FAACT Board of Directors more than 25 years of finance, accounting, and operational experience. She holds a BBA with a concentration in Accounting and an MBA. Her C-level experience spans more than 15 years in a variety of business structures, including private for-profit companies, government contractors, and not-for-profit organizations. For the past six years, her focus has been solely in the not-for-profit sector, including five years in the voluntary health charity space, where she served as the Chief Financial Officer for The Food Allergy & Anaphylaxis Network™ (FAAN) in Fairfax, Virginia, overseeing all finance, accounting, technology, human resources, and administrative functions. Chris is a wonderful advocate for the food allergy community and has spent time at many food allergy events, getting to know the families. Chris is committed to fulfilling FAACT’s mission and helping to raise awareness for food allergies and life-threatening anaphylaxis and to ensuring FAACT has the resources to succeed well into the future. Sara Shannon is an active member of the North American allergy/asthma community. Sara’s daughter Sabrina Anne was born on May 29, 1990. When Sabrina was diagnosed with multiple food allergies and asthma, Sara became an advocate and educator on behalf of her daughter. When Sabrina was nine years old, her mother encouraged her to produce a radio documentary, “A Nutty Tale,” about her food allergies for the Canadian Broadcasting Corporation (CBC). At the time, Sabrina was the youngest producer at CBC, and the radio documentary she made brought her story to national attention. Tragically, Sabrina suffered a fatal anaphylactic reaction at age 13 during her first year of high school. Sabrina died at Children’s Hospital of Eastern Ontario (CHEO) in Ottawa on September 30, 2003. When Sabrina was dying, Sara held her hand and made a promise to her that she’d do everything possible to prevent a similar tragedy from happening to another child’s family. Sara immediately sent a letter requesting an investigation. One year later, the first press conference regarding anaphylaxis was held at CHEO in Ottawa. Dr. McCallum, the hospitals supervising coroner at the time, recommended sweeping changes to anaphylaxis management in Ontario schools due to Sabrina’s avoidable death. In 2005, Sara testified to the Ontario Government Standing Committee regarding her daughter Sabrina’s life and death. Inspired by her life and memory, Sabrina's parents and other members of the allergy community have kept her spirit alive by advocating for safer school communities and raising allergy awareness across Canada. Their efforts resulted in passage of “Sabrina’s Law” in Ontario, a landmark piece of legislation that continues to influence school board policies across the country. CNN’s Chief Medical Correspondent Dr. Sanjay Gupta received the Clarion award for his report, "Sabrina’s Law,” which aired in May 2005. Dr. Gupta travelled to Pembroke and interviewed Sara Shannon as well as Sabrina’s friends and teachers. Sara has received numerous awards for her advocacy work, including the Upper Ottawa Valley Citizen of the Year, the “Daniel P. Moynihan Public Awareness Award” from the Food Allergy Initiative, the North West Food Allergy Initiative Award for Recognition of Commitment to Food Allergy Advocacy, an “Allergies in Courage” award in Dallas, Texas, and numerous awards of recognition from Anaphylaxis Canada, including the 2011 National Volunteer Award. A documentary produced by Lank/Beach Productions, Merit Motion Pictures, and The National Film Board of Canada called “Sabrina’s Law” profiles Sabrina Shannon as a young food allergy advocate who died at age 13 and documents Sara Shannon’s journey in keeping a promise to her daughter. “Sabrina’s Law” is highly recommended viewing for educators. For a decade, Sara has been a featured speaker at annual national walks sponsored by Allergy Asthma and Information Association to raise money for the Canadian Society of Allergy and Clinical Immunology. On September 30, 2012, Sara was moved at the FAAN Walk for Food Allergy in Chicago when the participants blew bubbles in memory of Sabrina. In 2012, Sara contributed to an allergen research project, “Exploring Social Exclusion among Youth with anaphylaxis,” conducted by the University of Waterloo and University of Toronto. The paper was published and Sara presented a section at a conference. Sara also travels often to raise awareness about anaphylaxis and life-threatening food allergies. She is also working to keep her daughter’s memory alive. Sara’s hope is that there will be a cure for anaphylaxis. Sara knows the importance of education, knowledge, and awareness. Sara would like “Sabrina’s Law” or laws like it to be passed in all places. Eleanor Garrow-Holding has worked, educated, and advocated in the food allergy community for almost 10 years. She was inspired to start this work after her son, Thomas, was diagnosed with life-threatening food allergies to tree nuts, peanuts, wheat, and sesame; eosinophilic esophagitis (EoE) triggered by milk and wheat; asthma; and environmental allergies. As CEO of the Food Allergy & Anaphylaxis Connection Team (FAACT), Eleanor provides leadership, development, and implementation for all of FAACT’s initiatives and programs, including Camp TAG (The Allergy Gang) – a summer camp for children with food allergies and their siblings that Eleanor founded in 2009. Eleanor has a Bachelor of Healthcare Administration degree from Lewis University in Romeoville, IL, and worked in hospital management for 15 years in Chicago and suburban Chicago prior to working in the nonprofit sector. Read more under "Meet the Team"
Andrew Eisenberg is a business leader with more than three decades of successful experiences with mature and early-stage companies. He has built his career solving problems and scaling businesses in the health and wellness, technology, consumer product, and entertainment markets. He was most recently President of Awearables, LLC (DBA AllerMates). Having joined the company in its infancy, he built it to become one of the best known and fastest growing brands in the children’s health and wellness market. While there, he dramatically expanded sales channels and product lines, negotiated marketing and licensing agreements with top pharmaceutical and allergen-safe food companies, and created one of the largest online education and community destinations for parents of kids with allergies. He is pleased to have created a safer environment for, and helped to educate, hundreds of thousands of children with allergies, asthma, diabetes, and other medical conditions. Prior to Awearables, Andrew was a Lead Consultant with Anichris, Inc. and Energy Media Group, LLC, where he created innovative product and marketing strategies for clients in healthcare, technology, and consumer goods. His previous, management successes include two content platform companies. As VP Business Development for Brand Asset Digital, a disruptive technology company in the online music and entertainment discovery space, he led channel sales and engaged with clients such as Pepsi, GM, and Time Warner. He then led a spinoff of one of its business units into a new venture. Additionally, he was Founder/CEO of Handheld Media Group, where he created media assets for those engaged with handheld devices (such as the Palm and Handspring PDAs). As a serial entrepreneur, Andrew has created and exited several successful ventures. Today, as Principal Consultant at Coastal CxO Services, he consults to add value for clients seeking to expand brands of early stage companies. 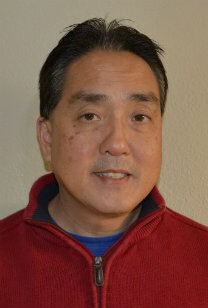 Brian Hom has advocated in the food allergy community for more than five years. He has made it his personal mission to raise awareness of the dangers of food allergies and to help find a cure as well as the cause of food allergies so no other families have to suffer loss of life from food allergies. Brian’s 18-year-old son, BJ Hom, died on a family vacation in 2008 after eating a dessert that contained traces of peanuts. The family was visiting a resort in Los Cabos, Mexico, to celebrate BJ’s 18th birthday and his graduation from high school. BJ did not have an epinephrine auto-injector with him because his doctors thought his symptoms would always be mild that they never prescribed auto-injectable epinephrine. Brian has two younger sons, Brandon and Steven Hom. Steven, who is now age 18, has the same severe peanut allergy as his older brother BJ and is participating in the Phase 2 Viaskin Peanut Patch Study at Stanford University with Dr. Kari Nadeau to find a cure. Brian chaired the California Bay Area FAAN Walk for Food Allergy in 2011 and 2012 and has raised more than $290,000 through these events. 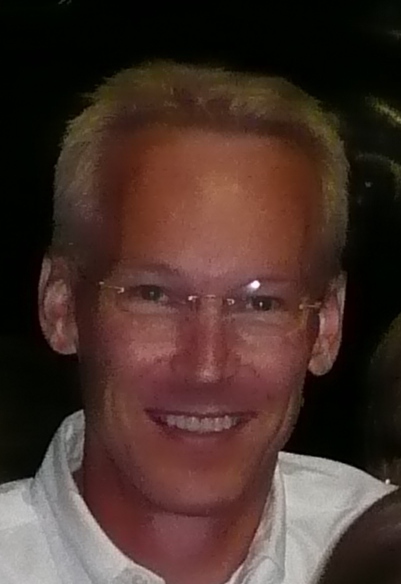 He was awarded the FAAN Family Advocacy Award in 2010 and was named “Outstanding Volunteer for 2013.” Brian advocated on Capitol Hill for the School Access to Emergency Epinephrine Act and appeared on Lifetime Network’s television show, “The Balancing Act,” to raise awareness of the dangers of food allergies. Brian filmed a YouTube video for Mylan Corporation called “Food Allergies Don’t Take Vacations” and has appeared on NBC News Bay Area and KPIX Channel 5 and many radio talk shows, sharing his son’s story to raise awareness of the dangers of food allergies. He has also shared his family’s story in two news articles on CNN.com “"Study: Food allergies more common, more severe among children" and “8 percent of US children now have food allergies,” and the San Jose Mercury newspaper. Brian is also co-founder of the Food Allergy Zone Web site with Elizabeth Hamilton-Guarino, which is dedicated to helping us all stay alive and thrive with food allergies and to find the cause and cure for food allergies. Brian has been on the Board of Director of the Bay Area Allergy Advisory Board. He is working closely with Bay-area sports teams – including the Golden State Warriors basketball team, San Francisco Giants baseball team, San Jose SaberCats arena football team, San Francisco Bulls hockey team, and the Oakland A’s and San Jose Giants baseball teams – for Food Allergy Awareness Night Fundraisers with peanut-free and food allergy courteous sections. Brian has partnered with Whole Foods Market and New Leaf Community Market on 5% Charity days as well as with Jamba Juice company. He has worked with musician Kyle Dine on many Bay Area School Assemblies to raise awareness and educate students on the dangers of food allergies. He is also a member of the California Advocates for Food Allergies, which is advocating for mandatory emergency stock epinephrine in California schools. Brian has a Bachelor’s degree in Managerial Economics and a Master’s degree in Business Management and has been working in the high-tech industry for more than 34 years as a Global Commodity Manager for IBM, Hitachi, and HGST Inc. a Western Digital Company. 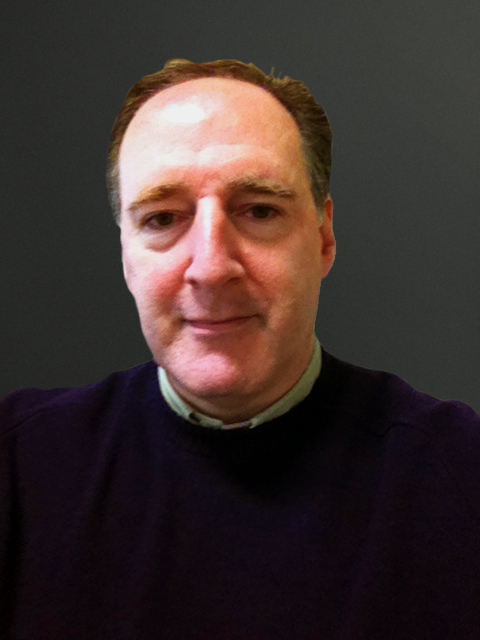 Alan J. Kelly has been the Vice President for Development and Alumni Affairs at Hofstra University since 2005. He is responsible for all aspects of University fund raising and development including oversight of a completed $110 million capital campaign and the launching of a new $250 million initiative. Mr. Kelly oversees all major gift activity, alumni volunteer recruitment, leadership and special events. In addition, Mr. Kelly is involved with Board recruitment and training and all leadership strategy. Over the past nine years Mr. Kelly has successfully increased Hofstra’s annual giving to more than $30 million from $11 million. Mr. Kelly is a Redington Scholarship graduate of the University of Scranton, with a degree in history and minors in English and Theology. He is member of Our Lady of Peace Finance Council and a parish Trustee. He is a current Board member of The Viscardi Center in Searingtown NY and a former member of the Village of Lynbrook Budget Committee. Mr. Kelly is also a Certified Fundraising Executive (CFRE), a former Board member of AFPLI (Association of Fundraising Professionals), and a member of CASE (Council for the Advancement and Support of education). Mr. Kelly has been the recipient of several awards including the 40 Under 40 Award on Long Island in 2008 and the AFPLI Fund Raising Executive of the Year 2010. Mr. Kelly became a citizen of the United States in 2007 and currently holds dual-citizen status. He resides in Lynbrook, NY with his wife Susan and their four daughters, one who has multiple food allergies. As a veteran Marine and with 20 years in the culinary arts field, Keith Norman brings a sense of discipline and order to everything he does, both in the business world and in the culinary world. 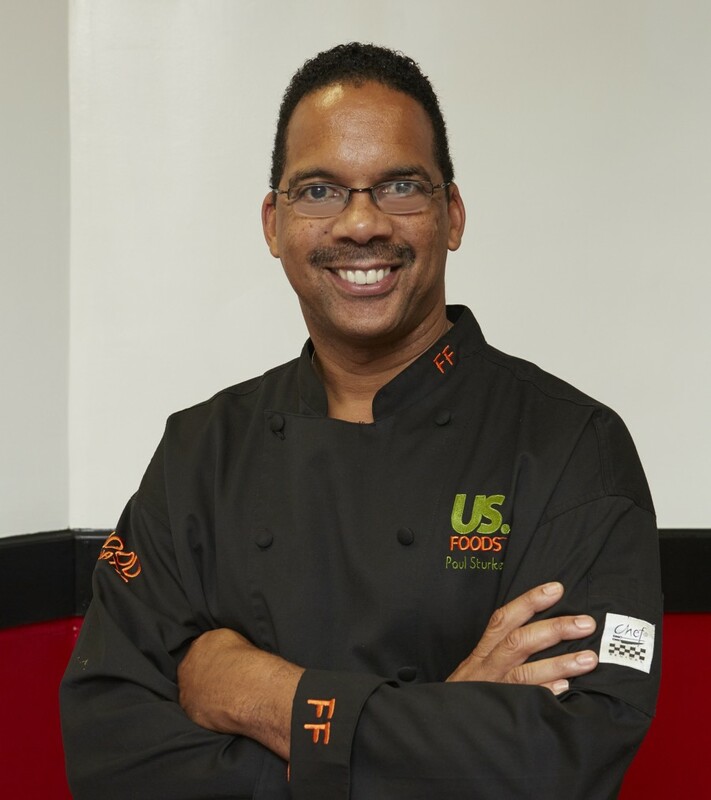 Chef Norman has a passion for food safety and sanitation that is apparent in his role as Assistant Executive Chef and Food Safety Manager for the South Point Hotel & Casino and as a culinary arts instructor at The International Culinary School at The Art Institute of Las Vegas. In both roles, Chef Norman is responsible for training and educating students and culinary professionals in one of the most important facets of the food service industry. Chef Norman has worked his way up the culinary ladder at Las Vegas properties, including Bally’s, the Mirage, Treasure Island, Paris, Suncoast, and South Point hotels and casinos. He is a certified professional food manager, certified HACCP (Hazard Analysis and Critical Control Points) manager, NEHA (National Environmental Health Association) certified food trainer, NRA (Nevada Restaurant Association) certified food safety trainer, a certified registered OSHA (Occupational Safety and Health Administration) trainer and a master certified food executive. Chef Norman has trained through the FDA (Food and Drug Administration) in the areas of foodborne illness investigation, agro-terrorism and food systems disasters. 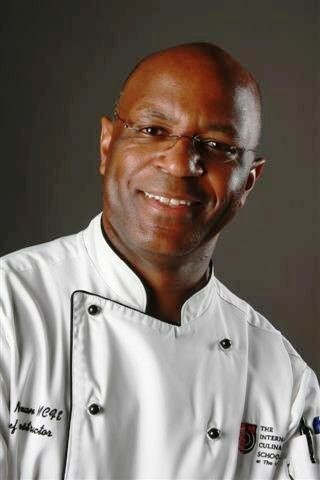 Chef Norman is also a member of the Casino Management Association, International Food Safety Council, Alliance of Black Culinarians, Nevada Food Safety Task Force, and Stop Foodborne Illness. Cybele Pascal, aka “The Allergy-Friendly Cook,” is the author of three, best-selling cookbooks: Allergy-Free and Easy Cooking, The Allergen-Free Baker’s Handbook (Martha Stewart’s #1 book pick for her show in 2010), and The Whole Foods Allergy Cookbook. She has appeared on The Martha Stewart Show, Food Network, the TODAY Show, Good Morning America Health, PBS, and NPR. She is a leading blogger in the field, with an award-winning Web site, and lectures and teaches nationally. She is also the Food Editor of Allergic Living Magazine. Cybele is the founder and president of Cybele’s Free-to-Eat, a line of gluten-free foods that are also free of the top eight food allergens. Her allergy-friendly cookies were just awarded Best Gluten-Free Cookies by Good Housekeeping magazine and were recently featured on the TODAY Show as the “Healthiest Packaged Sweet”! For more information, visit the Cybele Pascal and Cybele’s Free to Eat Web sites. Kelly Rudnicki is author of the The Food Allergy Mama’s Easy, Fast Family Meals, The Food Allergy Mama’s Baking Book, and Vegan Baking Classics. She’s also the creator of the award-winning blog, Food Allergy Mama. Her blog has twice been named Babble’s Top Food Blog and ranked #6 in Healthiest Eating. She has appeared on The Martha Stewart Show, Windy City Live, WGN News, and ABC News as well as in numerous publications, including The Wall Street Journal, USA Today, Chicago Tribune, Chicago Sun Times, Parents, Parenting, Shape, Family Fun, Woman’s Day, and others. As the mother of five young children, one of whom has severe food allergies, Kelly also spends much of her free time advocating for food allergy awareness and improving school nutrition. She volunteers and speaks on food allergy issues and helped write the food allergy guidelines for Chefs Move to Schools Chicago, an initiative launched by First Lady Michelle Obama’s Go for the Gold campaign to promote higher standards for food, fitness, and nutrition education. Kelly also serves as a Parent Ambassador for Healthy Child, Healthy World. Kelly lives in Southern California with her husband and five children. Chef Paul Sturkey is familiar with food preparation at both the restaurant level and on a national scale. He is Chef Consultant in Business Development for US Foods, where he has ServeSafe Certification and educates restaurant operators the importance of safe and proper food handling and food allergen awareness. In addition to creating culinary masterpieces for diners around the country, Chef Paul has faced more urgent food challenges at home. His son Mitchell, now 16 years old, is allergic to peanut, tree nuts, eggs, and dairy. A native of Akron, Ohio and a graduate of the Culinary Institute of America – Hyde Park New York, Chef Paul brings over 35 years of food and beverage experience including hotels to private clubs, as well as owning seven restaurants of his own. Chef Paul is the owner of The Paul Sturkey Bottling Company, which produces a line of salad dressings and an all-purpose seasoning. His insight into food trends as a Certified Food Fanatic keeps his finger on the pulse of what valued customers are asking for in the market place.